We offer a wide range of diameters and drill depths. Over 45 years of experience producing quality carbide tipped drills for use with pneumatic drills has resulted in products which perform the toughest jobs. Our drills perform with huge success in all construction and/or demolition applications. 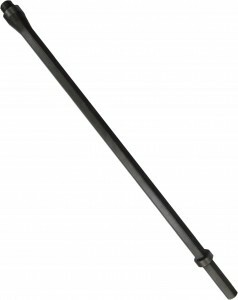 Tamco carbide tipped drills used in rotary percussion hammers will drill hundreds of holes in granite, and a greater quantity in softer stone and concrete. 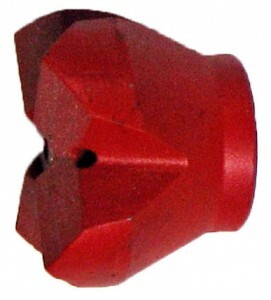 For best results and a longer tool life, the carbide insert must be sharpened frequently. It is not only easier to grind a small amount of carbide more often, rather than larger amounts if dull carbide less frequently, it also results in a minimal loss of carbide and maximum usable life of the drill bit. It is a good practice to sharpen the the carbide insert after drilling 100-200 linear inches. This measure will vary accordingly to the hardness and abrasiveness of the material being drilled. It is important to retain the original curvature of the carbide long with the 110 degree cutting angle during the sharpering process. 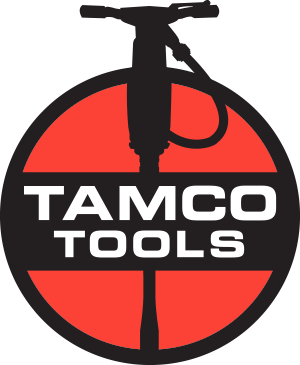 Tamco can provide you will a drill guide to check and maintain the proper profile and cutting angle. Dull carbide cuts slower and requires more energy to drill a hole. This extra energy is absorbed by the drill which can result in fractured carbides, failure of the steel, and/or a failure of the brazing which attaches the carbide to the steel. Dull carbides should be sharpened on a Green SIlicone Carbide grinding wheel with a grit size of approximately 80 grit. These wheels are readily available at most industrial suppliers. Following these procedures will result in faster drilling, more holes drilled per bit, and fewer failures.